When choosing recording studio gift vouchers from Bluebird Studios be confident you have made the right choice. This 3 hour voucher is very popular as a birthday or christmas gift. It allows the person time to really get into the gift experience and get great results. This voucher is suitable for all levels, wether your a first time singer in a studio environment or experienced musician. 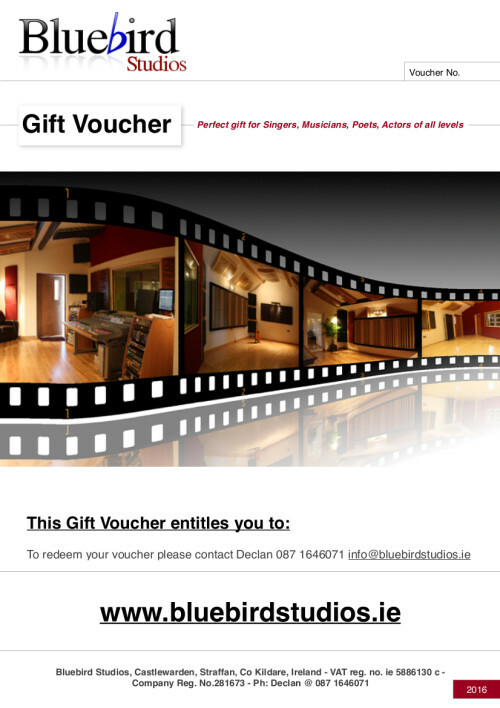 Poets, actors, healing therapist, Voice over artist to list a few also found Bluebird Studios gift vouchers a reliable source for professional results. I don’t have 12 months expiration dates on the voucher, vouchers can be use any day during the week and vouchers are posted out next day. 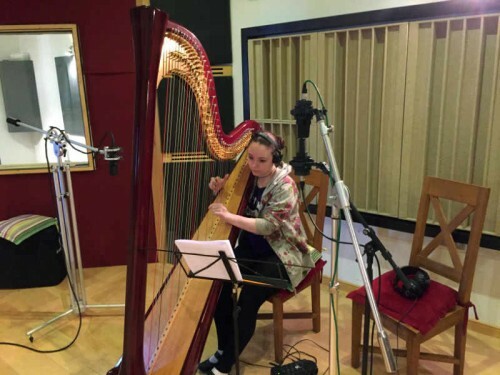 You don’t need to worry about if you are a professional or experienced performer, these vouchers have been use by people of all ages and ability. The main goal is for clients to have fun and get exactly what they want from the voucher. Bluebird Studios is 30 minutes outside Dublin city centre 5 minutes off the N7. If you have an iPhone or Android just simply out these coordinates 53.279731,-6.534775 into your phone and it will bring you straight to the studio. Free wifi, Tea and Coffee are supplied courtesy of Bluebird Studios.